Budgeting seems so simple in the textbooks. So why does it often fail in practice? 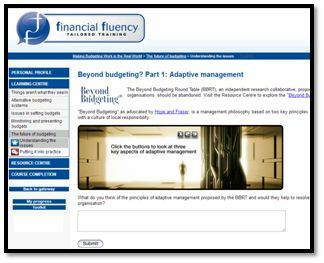 Stuart Warner explains the barriers to effective budgeting and enables learners to create and manage more successful budgets. The author’s practical experience, coupled with many hours discussing the issues in the classroom, enables him to frame the key questions and open the debate about how to create an effective and efficient budgeting process. Peer-enriched learning courses stimulate intelligent dialogue and debate and provide a valuable and evolving resource of professional knowledge and experience. These courses are topical, practical and highly relevant to today’s changing market. 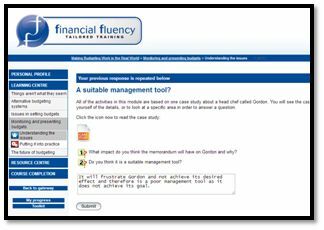 Each module is split into two activities: Understanding the issues and Putting it into practice. The first encourages learners to think about a topic, drawing on their own professional experience and knowledge. The second helps learners to put ideas and/or theories into practice as part of their day-to-day work. A true measure of performance? 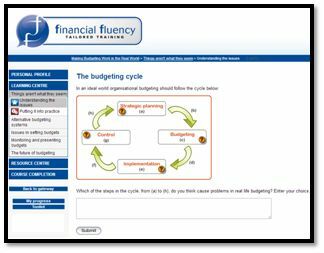 This course is designed to appeal to professionals, both in finance functions and other areas, who are looking for a practical course that enables them to apply budgeting theory and knowledge in their own organisation. Stuart Warner is a Chartered Accountant, author, non-executive adviser and trainer, with over two decades of experience in finance. 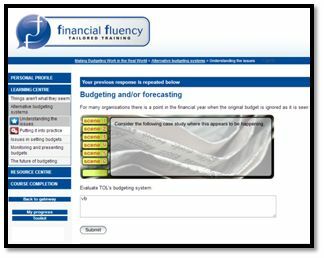 Stuart’s goal is to help businesses increase productivity and profits through innovative and engaging finance training. 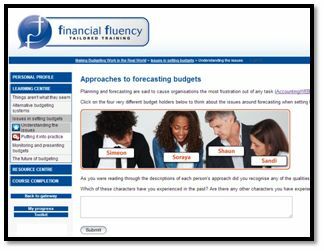 He is a director of Financial Fluency Ltd and delivers finance based training programmes around the world to both finance and non-finance professionals. Stuart has authored the following publications: ‘Finance Basics’ (Collins ‘Business Secrets’ series);’Making Budgeting Work in the Real World’ (NelsonCroom); ‘Dragons’ Den: Grow Your Business’ (Collins), which supports the BBC series; ’25 Need to Know Management Ratios’ (Pearson / FT Publishing). He is currently working on another book due to be published with Pearson in 2016.